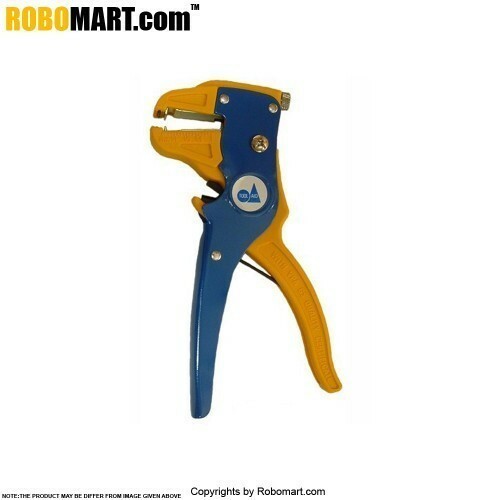 A wire stripper is a small, hand-held device used to strip the electrical insulation from electric wires. A simple manual wire stripper is a pair of opposing blades much like scissor or wire cutters. 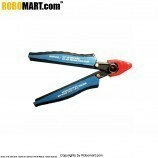 2in1, Wire Stripper & Cutter. Applicable Wire Stripper Size: 0.5mm2-6mm2. Self-Adjusting Mechanism according to Wire size provide excellent Wire Stripping W/O. Adjustable stop for consistency in Wire Strip lengths, replaceable blade systems. 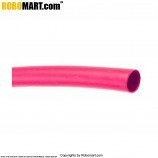 Strip 8mm width flast cable also applicable. Simple adjustment dial for blade pressure according to the thickness of insulation. Light, Handy and Excellent Durability. 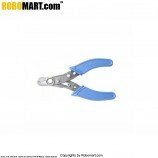 This product is normally used for wire stripping and wire cutting purpose in different electrical and electronic work.